Justin and Emily sit down to discuss Spielberg's first Tom Cruise film, Minority Report. Apologies for the audio issues at the start and towards the end of this episode. I had to redub a moment on my own due to unforseen issues with the recording and I think you'll be able to tell. Justin and Emily sit down to discuss Spielberg's first remake of his own work, Jaws Again. Justin and Emily sit down to discuss Spielberg's first WWII feature, Saving Private Ryan. 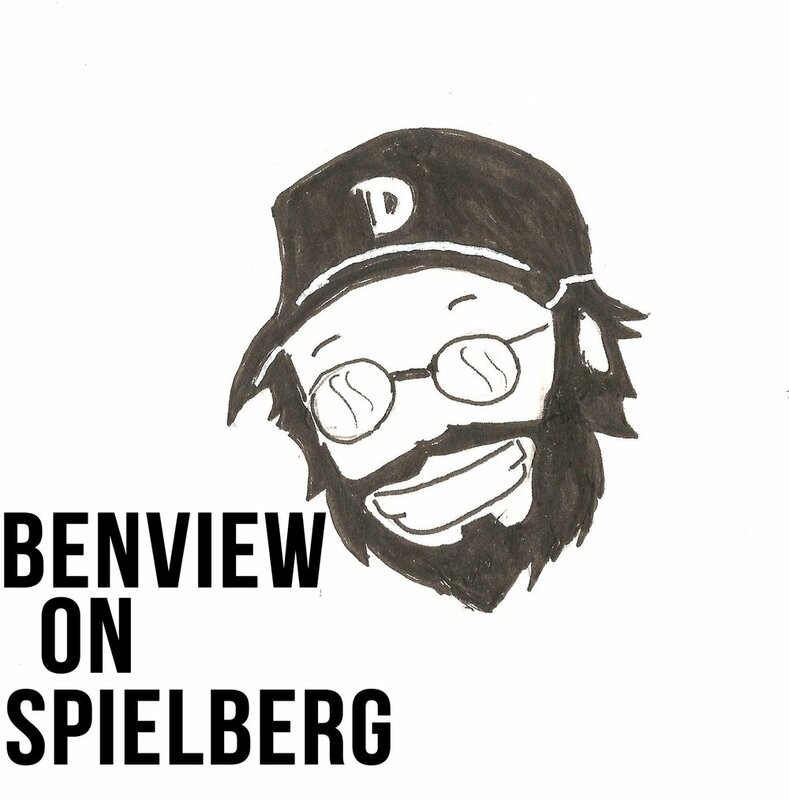 Justin and Emily sit down to discuss another Spielberg historical epic. Justin and Emily sit down to discuss Spielberg's first dino-sequel. Justin and Emily sit to down to discuss Spielberg's latest feature, The BFG. Justin and Emily sit down to discuss Spielberg's (arguably) last truly iconic feature, Jurassic Park. Justin and Emily sit down to discuss Spielberg's most depressing feature, Schindler's List. Justin, Emily, and special guest Marc sit down to finish discussing Spielberg's first '90s feature, Hook! Download two hours of Hook talk here! Justin, Emily, and special guest Marc sit down to discuss Spielberg's first '90s feature, Hook! Justin and Emily sit down to discuss Spielberg's first remake, Always. Justin and Emily sit down to discuss Spielberg's final* Indiana Jones feature, Indiana Jones and the Last Crusade! Apologies for some unfortunate audio troubles in a few parts of this episode. Justin and Emily sit down to discuss Spielberg's next WWII film, Empire of the Sun. Justin and Emily sit down to discuss some more of Spielberg's TV work, Amazing Stories episodes "Ghost Train" and "The Mission". Justin and Emily sit down to discuss Spielberg's first historical drama, The Color Purple. Justin and Emily take a break from chronology to discuss Spielberg's latest feature, Bridge of Spies. Justin and Emily sit down to discuss Spielberg's second Indiana Jones adventure, Indiana Jones and the Temple of Doom. In this bonus episode, Justin and Emily sit down to watch a Spielberg inspired feature, Super 8. Justin and Emily sit down to discuss Spielberg's first paid gig, Night Gallery (plus another episode of Night Gallery plus his segment in Twilight Zone: The Movie).